Now that Summer is upon us it's finally time for all the festivals which the UK brings us and there are so many which I hadn't heard of until this year. So many festivals have already been and gone at the beginning of the Summer however there are still loads still to come; V Festival is the next one near where I live and also a big one for those who love a festival and/or music. 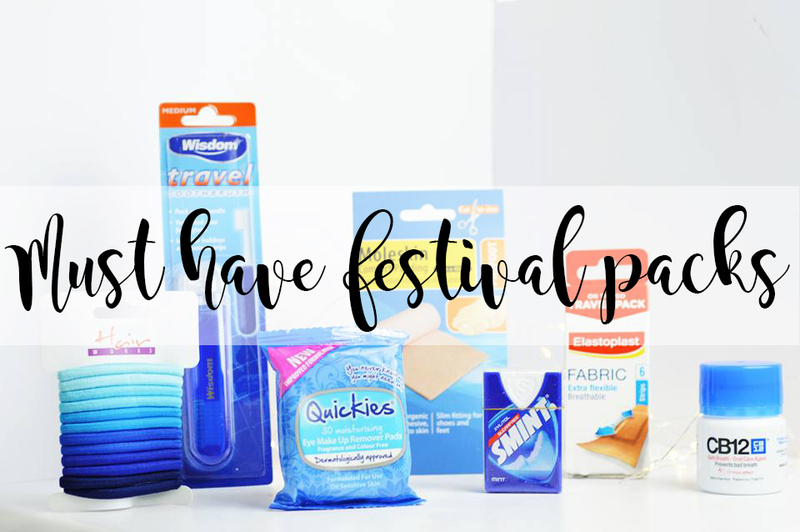 Some people may not think of the essentials that they may need for a festival and we're talking a toothbrush, plasters if you cut yourself or have a blister (remember you will be standing for hours on end), hair ties, wipes and so much more. So today I'm going to be sharing with you two must have festival packs from Chemist.co.uk. I had the chance to pick a couple of their festival packs to review for you guys and in the post I'll be talking about the 1st and 3rd pack which they sell here. 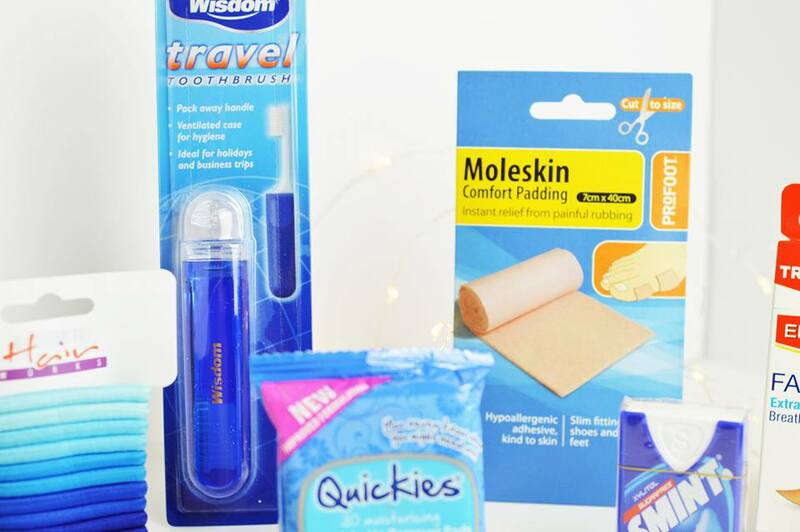 Firstly is pack three where you can pick up seven different essentials for £15.49, the more expensive and larger pack out of the two which I chose. You can find it here. 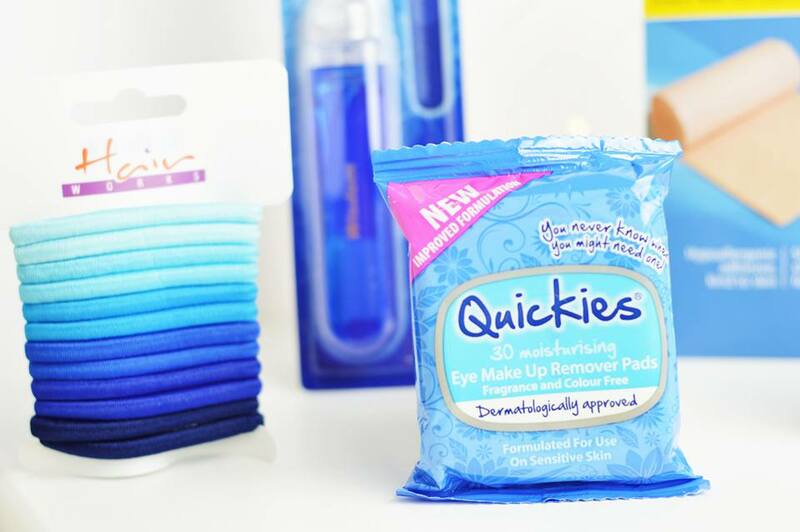 We all know every single female is going to be wearing glitter, makeup and god know what else on their face while attending a festival so makeup remover pads is a must have, especially if you're camping over night! You do not want to end up with makeup smeared across your face the next morning. We also have hair ties; I am always losing my hair ties so the fact this pack doesn't just provide one, is a complete life saver. Also you never know when your friends will get fed up with having their hair down and didn't come with a hair tie! There's also a travel toothbrush in this pack; something many people tend to forget about. Let's be honest, you don't need a sink to brush your teeth. A bottle of water, some tooth paste and job done; you can easily brush your teeth. Having a small fold away toothbrush also makes it so much more hygienic too when it's sat at the bottom of your bag. Fabric roll for your feet is another essential. So you've been wearing a pair of wellies all day in the boiling hot heat without any socks on; yes you're going to have blisters and you're going to need something to stop them from rubbing against every single pair of shoes you put on. It's an easy essential which you can just slot into your bag. I absolutely love how one of the packs has some smints; don't we all know someone who has met someone rather attractive and then spent the whole weekend with them; of course we do! We all want to have a nice smelling breath throughout the day instead of the standard alcohol breath, right? Standard plasters is another essential; you never know when you're going to accidentally put your hand or foot down onto a piece of broken glass. Or in fact, you can generally cut yourself on absolutely anything! And if you have ran out of smints from giving them all to your friends, there is also a safe breath mint menthol to keep your mouth feeling fresh all day. I've never seen anything like this so it's very intriguing! 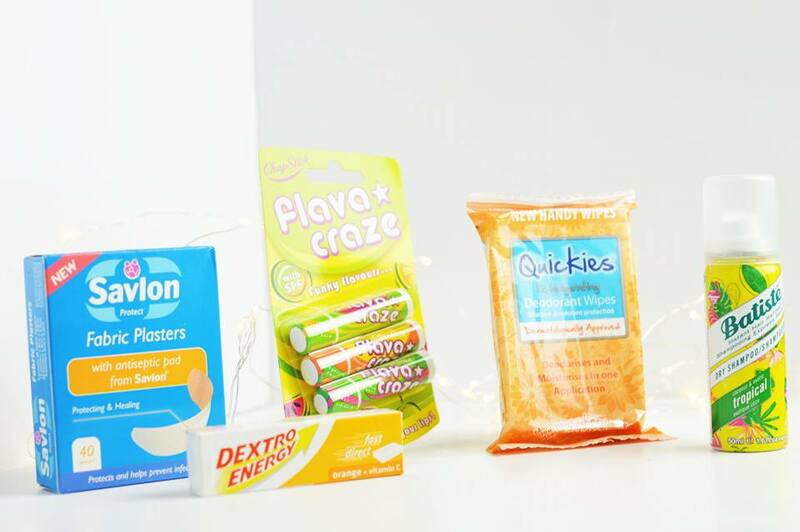 Next we have Festival Pack One which costs £7.99, including five products altogether. 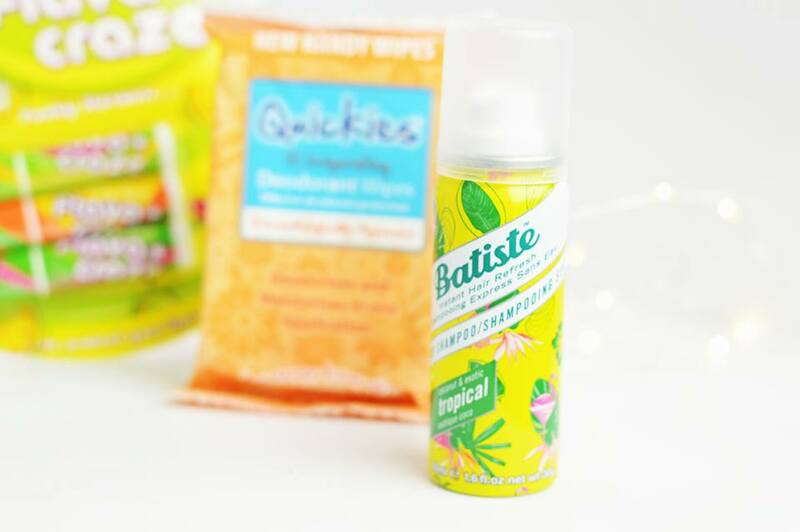 This pack can be aimed for both male and female; regardless of the fact it has dry shampoo and lip balm! Men can use these too. 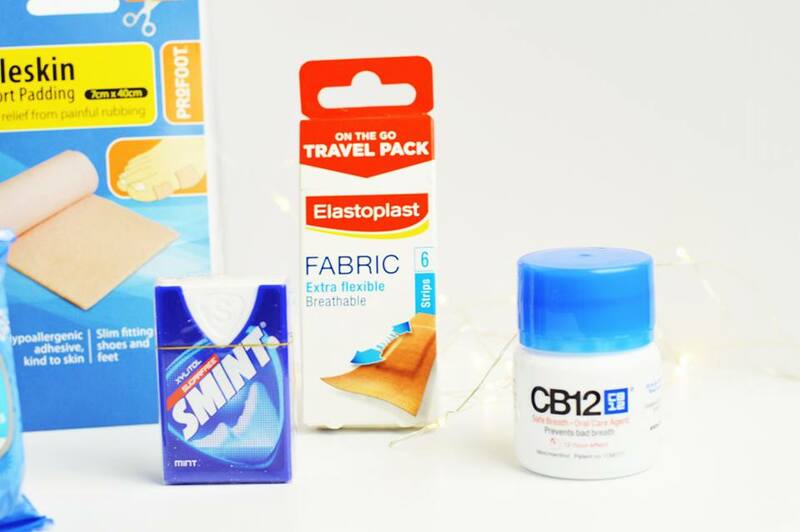 The first essential if you do not pick the 3rd festival pack as well is of course plasters. 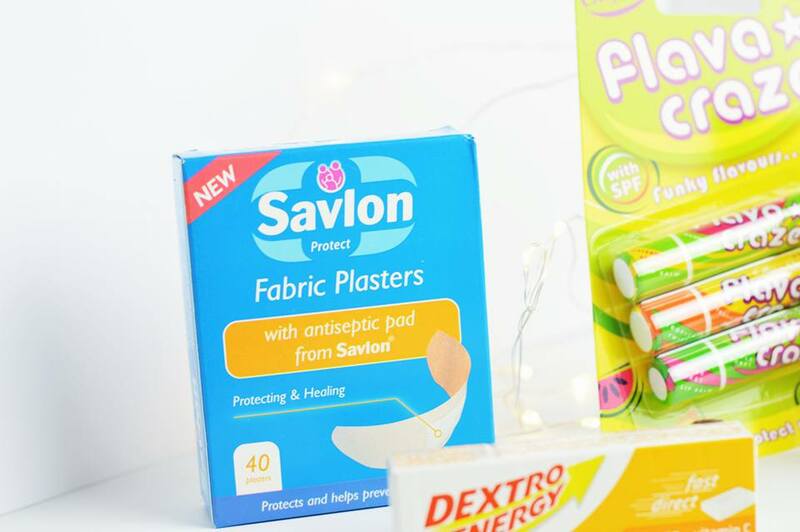 As mentioned further above you could end up with sore blisters, cuts and all sorts while you're at a festival, you never know what is going to happen so regardless of what pack you pick, there will be a pack of plasters! You don't want to end up with an infection. Right? 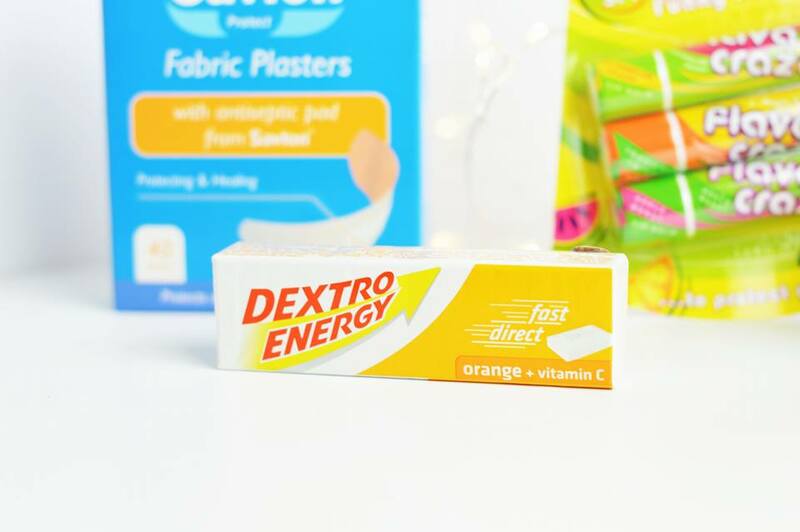 Next in line is Dextro energy tablets. I absolutely love this key essential item because who exactly is going to get a lot of sleep when they're at a festival, probably no one! Feeling tired and exhausted will come on even after a few hours if you haven't had a good nights sleep the previous night so energy tablets will always come in handy to keep you awake throughout the night and day whilst you're having fun. 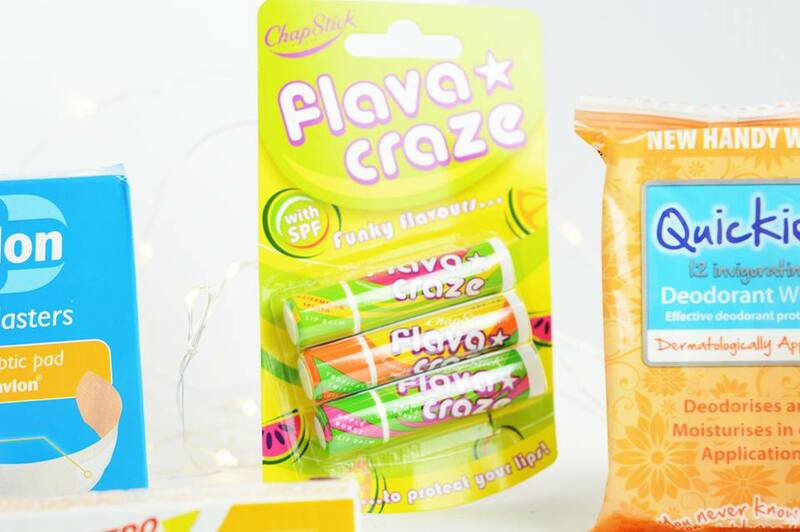 I had never heard of this brand of lip balm until I received this pack and I absolutely love how bright and colourful they are; perfect for a festival, right? If you're out in the sun all day, not only are you going to get burnt lips but they're going to be dry. Not exactly something you want if you're going to be kissing new people or even your partner. I personally cannot stand having dry lips so this is something I'd definitely be carrying with me at all times. You may have forgotten deodorant, or if deodorant isn't allowed then you definitely won't have any so you're going to smell. 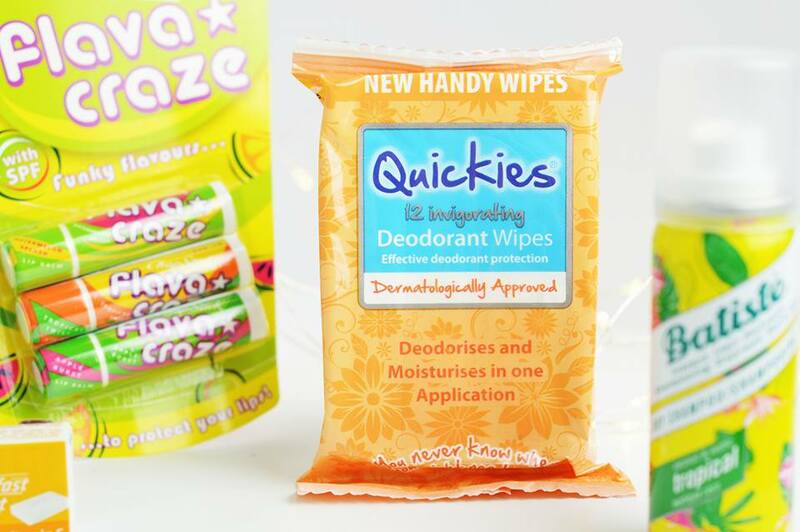 But with this handy kit you'll always have wipes available to keep you feeling clean and fresh throughout the day. 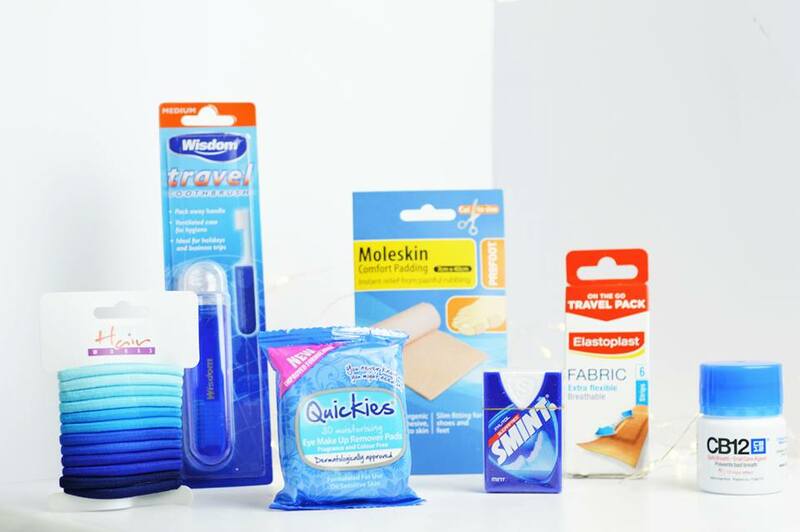 These are completely versatile and men and women can use them; so don't worry guys, Chemist.co.uk has also got your back too! Last but not least is dry shampoo. We all love a bit of this stuff and this scent smells absolutely incredible; it's one of my favourites. If you struggle with greasy hair then you don't have to worry. Not only does dry shampoo make your hair less greasy; leaving it feeling and looking fresher for longer, but it also gives your hair volume if it's looking a bit flat. I can get away with not washing my hair for a few days by using dry shampoo; so no need to worry about feeling dirty all weekend; you have all of the essentials to keep you feeling fresh, clean and hygienic whilst you're having fun. What is your key essential when you're going to a festival?